Maximum protection with horizontal embossed pattern and a unique water repellent edge. 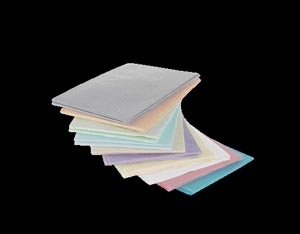 Increased strength and tear resistance with plastic backing for added clothing protection. Bright popular color choices that coordinate with Medicom® plastic cups.